I recently came into possession of a block of lovely reggiano cheese, and thought it would make the perfect base for a simple supper-for-one. 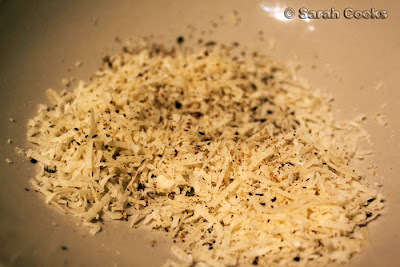 I chose to make a version of Nigella's capellini con cacio e pepe, from Forever Summer, as I thought it would really highlight the wonderful flavour of the cheese. 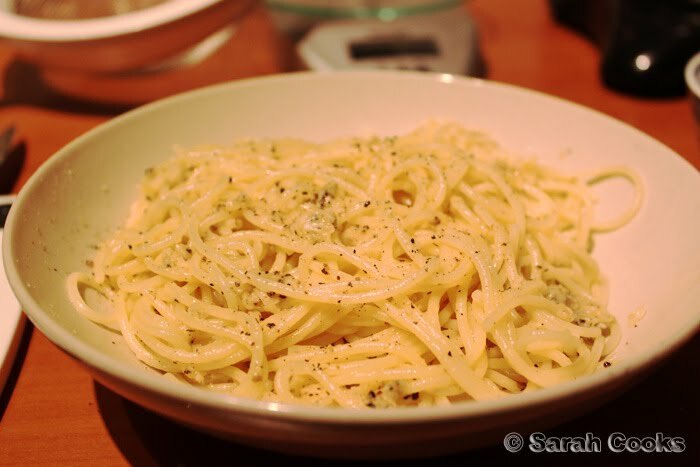 It is really just pasta with pecorino romano (I subsituted the parmigano reggiano) and lots of pepper. ... then cooked it in boiling salted water until cooked through but still slightly firm. (One of the benefits of cooking for myself is that I don't have to overcook the pasta until it is super-soft all the way through). This is one of the times where you will probably need to hold back a bit of the pasta cooking water to help all the ingredients mix together well, as it is quite a dry mixture. Delicious! 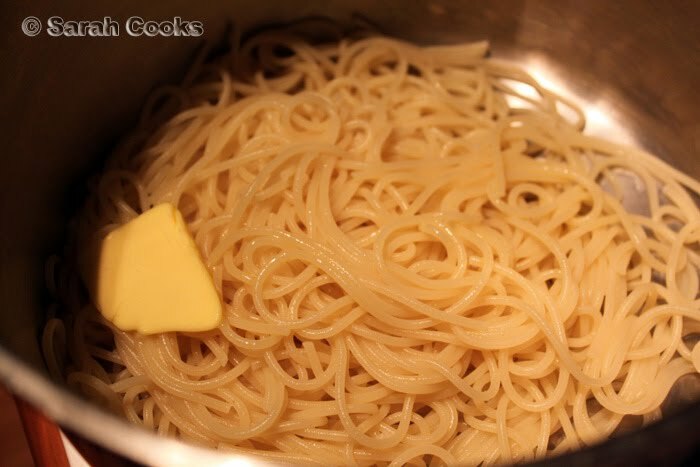 If you can get your hands on some good pasta and good cheese, it is definitely worth giving this dish a go! I love the deeply savoury cheese, combined with the gentle warmth of the pepper. It's so easy and quick too - something you can definitely eat, guilt-free, whilst slumped on the couch after a hard day with a nice glass of wine. Yum - a perfect, simple dinner made with good ingredients. 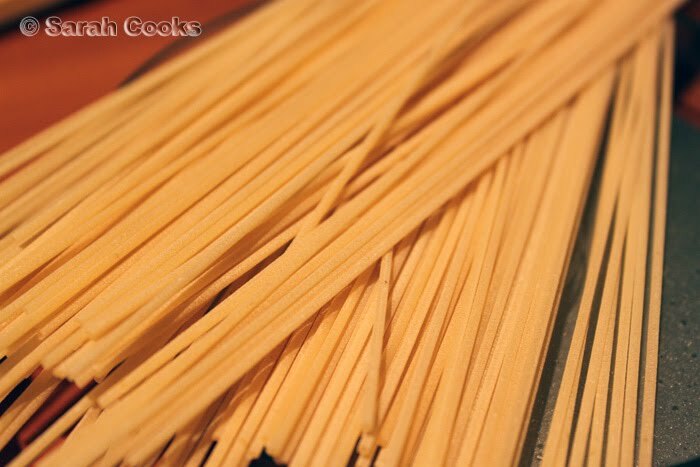 I love a bowl of pasta and cheese! Oh yum, this has to be one of my absolute fave pasta dishes, I had it all the time in Rome. 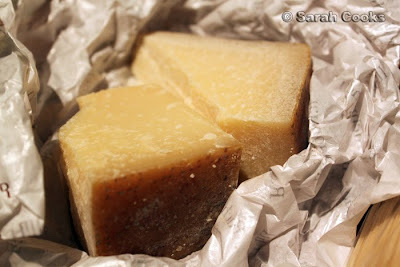 I would def try it with the pecorino too though, it gives it that extra pepperiness that makes it so delish!